Bill Gould opened Exclusive Real Estate Group on January 7, 2008 after working for eight years as the Golf Community Specialist at Waterfront Properties and Club Communities, a former Sotheby’s affiliate. Bill has listed homes in most of the top Golf Communities in Northern Palm Beach County and Martin County over the past two decades and has been involved in nearly 300 sales during that time. One year later, Paul Christopher, another longtime Waterfront Properties Broker, joined the Brokerage. Paul has been involved with over 200 million in residential sale which were primarily on Jupiter Island and Admirals Cove. Paul and Bill have worked together for nearly 20 years building a Real Estate brand which combines high end marketing with a service wing no other Brokerage comes close to providing. The vision at Exclusive was to create a business model that took care of a client’s entire needs as a homeowner. Since 2008, Bill has partnered with several key people to create a Property Management Service, a Construction Company and a Yacht Brokerage. The service wing of the business is managed by Brian Weisman and William English. Intracoastal Construction remodels homes and condominiums in Palm Beach County. The Marine Construction division builds docks and seawalls. Intracoastal Construction carries ten times the required liability insurance required by the state of Florida. All of our employees are fully covered by worker’s compensation when working inside homes remodeling and/or on barges building and repairing docks. Brian and his team manage over 75 homes in the area with a high concentration in Northern Palm Beach County. We are fully bonded and insured to manage any home on a month to month or annual basis. Will is a Florida Licensed General Contractor that assists Bill with Home Remodeling and Marine Construction. They have a dozen employees and agents that assist them on a daily basis. 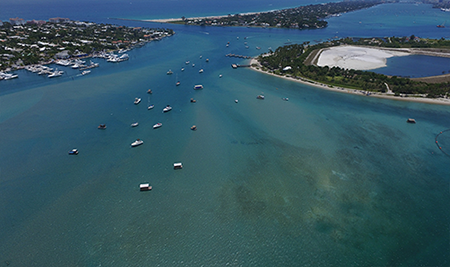 Exclusive Yacht Group was created in 2011 in conjunction with Loggerhead Marina to create a Yacht Brokerage that would represent the 12 Loggerhead Marinas in Florida, and the thousands of Loggerhead Customers in those marinas. The Brokerage quickly grew outside of our Loggerhead Clientele to service Boat Owners from Massachusetts to Key West. Combining these services under “one roof” with one contact makes it easy on the homeowner whether they are a full time resident or just here to enjoy the season. We have the ability to help everyone and save money when we bundle multiple services together for you.